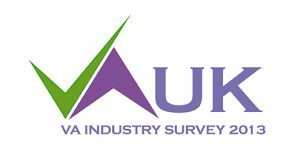 We’re almost there with the UK VA Survey – I do bore even myself – I promise if I get just 10 more entries, I will not bug you again with asking you to fill it in!!! CLICK HERE TO TAKE PART. Secondly, we were doing a giveaway in November for Sheryl Sandberg’s book “Lean In” – delighted to announce that Natasha McCann won this. Enjoy! If I don’t touch base before the holidays, have a wonderful time off and relax, recharge your batteries and get ready for a successful 2014! If you haven’t already, please fill in the UK VA Survey for 2013 – get yours in now! We are edging towards the requisite numbers – but the last few are always the hardest to get… We have over 1,300 people on the newsletter list and whilst some of those numbers have filled it in, others might not eligible or have active clients, but there’s still a fair number of you who haven’t filled it in!!! If that’s you, put aside 15 minutes with a cup of tea today? Thank you!!! It struck me that this is something that VAs often don’t speak about, because they are quite isolated (e.g. no work colleagues to ask how they are, no one around to notice they aren’t doing so well, possibly opted out of normal office work due to issues with stress or illness). I know 3 VAs who I work with who have mental health issues – and at least another 2-3 who struggle with their health and who became a VA as a result. But who do you turn to when things go wrong? We all need to look out for one another, and to know where to reach out to when things go wrong – to that end, the lovely people over at Mind, the mental health charity, have written an article specifically for home workers – please share this with your networks. It’s such an important message. As sole traders, we don’t have an office party to go to – but we can still have a very Merry Christmas! I have various goodies collected through the year which I will be very happy to give away – and a few VA authors and specialists who have also offered their services. What have we been up to this month? Get ideas to blog with – Some monthly tips on what to blog about this month. Top Tips For Outsourcing – Our series continues. If you have an event you’d like listed on The Virtual Assistant Diary – just let me know on email info@societyofvirtualassistants.co.uk! It’s free and we’re happy to list anything which will help VAs in their businesses.